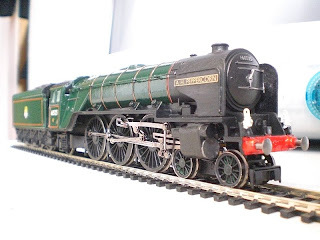 The fifteenth episode of The British Railway Series hits Youtube! Why is Gronk feeling so guilty? Will the snow ever melt at Copley Hill?! As some of you may have noticed, I have been modifying the blog in terms of the look, the photographs which accompany it and some several useful websites added as well. 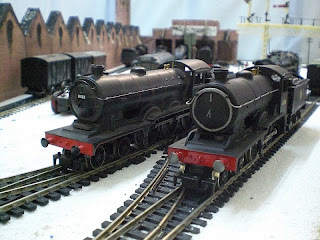 On the left, there is my The British Railway Series website for further information on the series. Above that is something very close to my heart - 60163 Tornado's website. 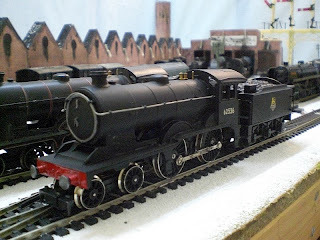 Below that, is a modelling forum I am particularly fond of - Andy York's RMweb is, for me, the definition in modelling forums, and particularly excellent in the modelling talents on show. Further, the wealth of information available is such that I have been encouraging members of my own Permanent Way gang (the forum below RMweb listed) to join up and learn from their elders and betters. I'm a great believer in "every little helps" - and as such, if this blog helps the two forums listed, the A1 Trust and my own little Youtube series in whatever way possible - then it can only be a good thing! 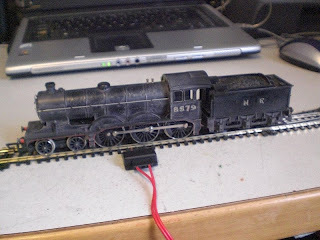 I'll also be updating the "Eastern Region Connections" box with some useful websites for modellers - I find that the more you help, the more people are willing to help, so I would say that the morale today is, help your fellow modeller! And if you're a Charlton fan like me, make sure that your hobby is high up on your agenda - it may help dividends in the weeks to come! 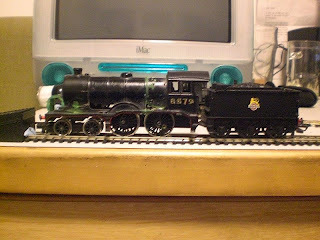 The above picture is what 60113 Great Northen Looked like before I took her along for inspection one week. 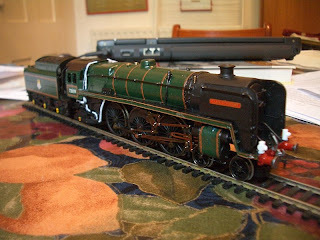 In my haste to make an A1/1 I had made a right catalogue of errors, the running plate, smoke deflector size...etc etc. 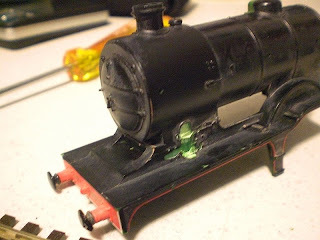 Well, she's now in bits, awaiting rebuilding - the first step towards being made, good and proper, into an A1/1. I'd like to thank Tony Gee for the gentle nudge in the right direction - Isinglass drawings! 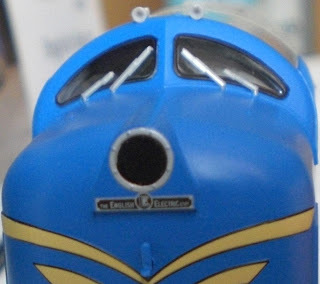 Which, surprisingly, showed that while it is very inaccurate in many ways, it does have a few things right - placement of banjo dome, and the length of the locomotive itself. 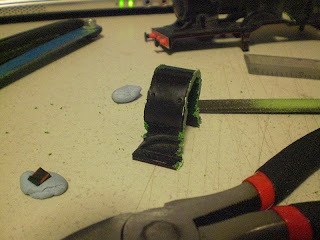 This model will define me as a modeller, it has been said, and I agree - it's not going back in its box until I manage to make something of it. 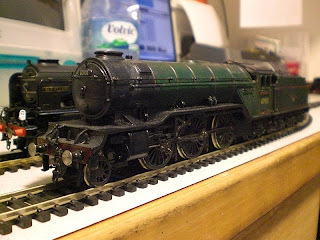 It has the potential to be more than it is - and one day it will be an A1/1, fully fledged, built, like Thompson, from a Gresley A1. 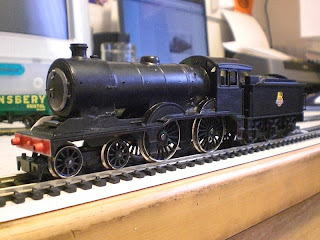 I'll leave you with this picture for now - hopefully when I next update the Great Northern Saga, it'll be a complete engine, and finished. The trailer for the fifteenth episode of The British Railway Series has been on Youtube for a few days. It's had a generally positive reaction, and I'm delighted that people are enjoying viewing it. Kevin Macloed, the composer for the piece of music used for the trailer, is a gem and his piece, Face Off brought alive the ideas behind Episode 15: Day of the Deltic. 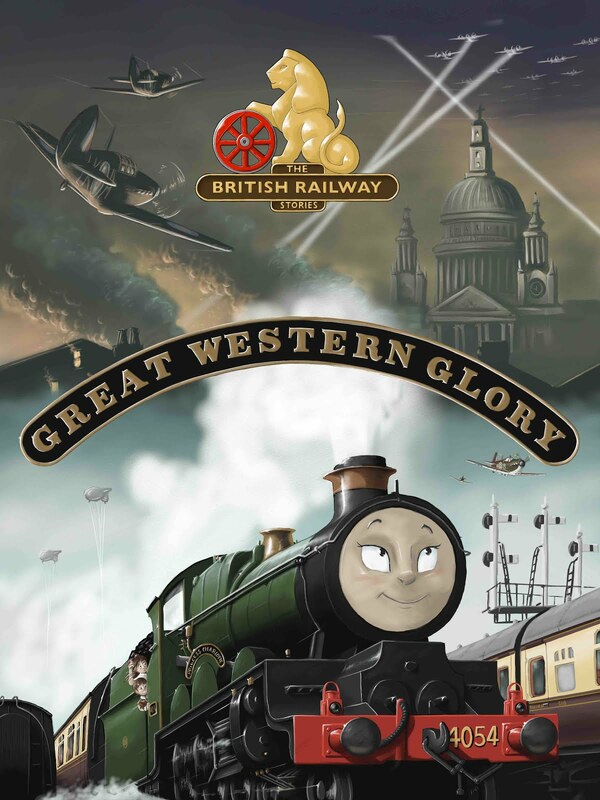 The story follows on from Episode 14: Silent Night quite closely, looking at Gronk's relationship with the other engines while introducing a character that is neither good nor entirely evil, but definitely flawed in terms of character. 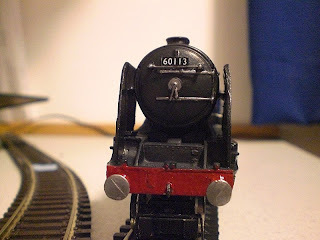 Day of the Deltic will be released sometime this Easter. ...into its shorter cousin. 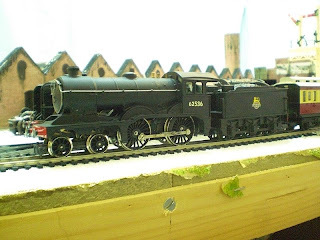 Yes, this is a Hornby B12 model - and I have been trying to make it into a D16/3. 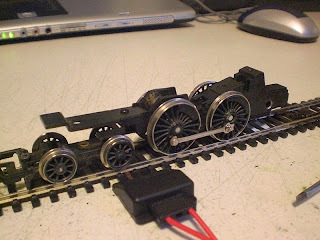 The model then recieved a few other little mods: the smokebox door was modified to look more GER like - with the silver ring around the outside and no smokebox door straps - the body was then painted plain black. 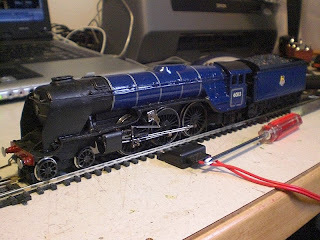 Finally, the connecting rods (a little rough at this stage - made purely so that the model and its mechanism could be run in) were fitted, and cabside numbers applied. 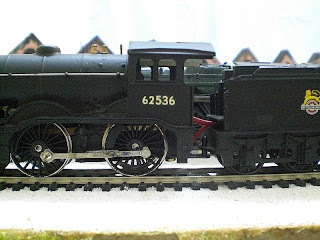 The model's new identity is 62536. 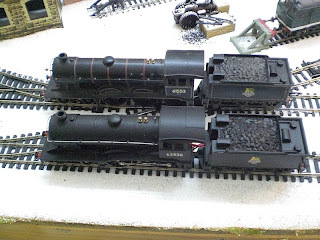 Notice the difference in length of the boiler - though the real things did share many components or elements of design style, the D16/3 model is by no means perfect. 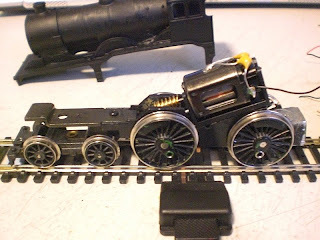 The wheels are slightly undersize, the smokebox is not quite round (one of the hazards of using the Hornby model - as pointed out by an RMwebber, they are flat at the bottom to allow the chassis to fit). 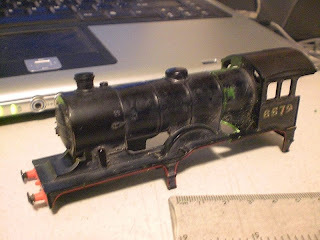 And for the moment - until its smokebox numberplate is fitted, and the lining out is completed - that is that. 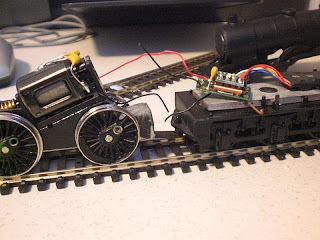 I'm quite proud of it - the fact that it works, and runs is good enough for me at present. I'm still very new to modelling - two years in! And I think, given my little experience with a soldering iron these last few months with the chip and motor, that I'd like to tackle a small brass kit of something next. That's after the A1/1, the Cathedral and various other half-finished projects I need to do soon...and after all that filming and editing, of course.